Former Federation officer who defected to Romulus in 2349. Later, apparently had second thoughts. 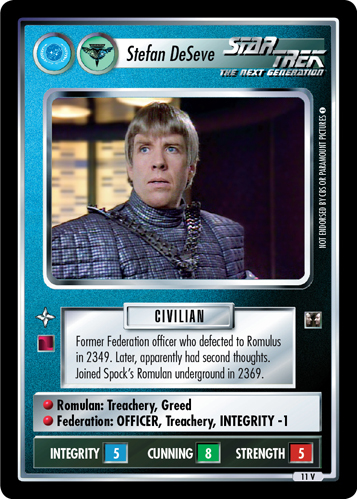 Joined Spock's Romulan underground in 2369.